As promised, here is my transcript from the next twenty minutes or so of an extensive 85-minute video interview with David Wilcock conducted by Joe Martino on Collective Evolution (see Related articles). A note to occasional visitor who might have found this article via Google: please, do not misread it. You have to understand that, even though it's clearly stated, what follows is but a presentation of the belief system and rational of the Cabal and NOT a reflection of what David Wilcock or even myselt think. I know this might sound redundant, but I'd rather not underestimate the power of religious indoctrination nor the potential stupidy and arrogance in some people. What are we really talking about here? Ultimately, we are talking about organized crime. We are talking about crime syndicates that work on a crow's-eyed governmental level because they do not take any of their high-ranking top people and actually run them for office. The people who run for office are never more than middle level within these corporations. We have multiple insiders, whistleblowers, some of whom I've spoken to directly, who have witnessed American presidents acting like simpering little wimps in front of this high ranking Cabal members because they are terrified of them. 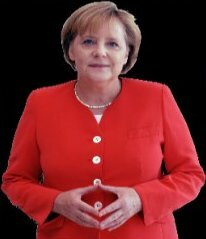 This Cabal has at its core, believe it or not, the Luciferian belief system. You say to yourself “Who in the world could possibly want to construct a religion around Lucifer?” Well, it's very clever, it works like this: you have ancient mystery school teachings and the ancient mystery school teachings date back to the legendary civilization of Atlantis which is real. We now know for example these ruins in Turkey, Göbekli Tepe, are at least 13,000 years old because we've carbon-dated the dirt that these stone circles were dug out of. We know they've been buried for 13,000 years. We can no longer deny that in fact there are ancient stone monuments that predate any civilizations that we normally know of here on Earth. And the problem is that whoever built these pyramids had the whole civilization, the technology to build it right out of the box. We don't see a gradual progression where we're looking for shards of pottery and we're trying to find how we can retrace the footsteps of a civilization that takes the necessary thousand of years to build up to the point where it could do highly technological act. No one has been able to build pyramid-like structures with those large blocks of stone with today's technology. The largest cranes in the world can't lift them. The Japanese tried to do it with one-feet scale and they completely failed. They could not build the Great Pyramid replica at only one feet the size! So somebody had advanced technology. The implication is that this technology was not local to Earth, but this was a refugee group or multiple refugee groups who actually came to Earth, perhaps on the run from a cosmic battle of some kind. And in fact, this is the occult secret story of Lucifer — Lucifer, the Fallen Angel. And in fact, there is a secret book that was withheld from the Bible called the Book of Enoch. And in the Book of Enoch what you hear about is a race of cannibalistic giants who crash-landed on Earth and are called the Fallen Angels. And they are, in fact, eating people here on Earth, but they're twice our size. They were ordered not to reproduce with the women of Earth, but they did anyway. And then what's happening is, women give birth to this new race that they call Nephilims and this is mirrored in the Book of Genesis, but the Book of Enoch has a lot more in there. And we now know that this is a genuine authenticated ancient text, because independent copies that say the same things and have been back-dated have been found in Ethiopia and other places such as ??? going way back to the 1700's. So this book explains that a group of people came here from somewhere else with advanced technology and that they did in fact set up control systems here on Earth. The Book of Enoch is a predecessor to Genesis which also has Noah's Ark and the Flood — in fact, Enoch is Noah's great grandfather. So what appears to have happened is that this great flood was authorized. The Atlantean flood wiped out the civilization of Atlantis because Atlantis was a colony. It was not native people that had originated here on Earth, it was a vast civilization that had transplanted itself here. And when they came here, they brought with themselves all of their books — all of their ancient texts that go back 500,000 years. The full records of their civilization are that. Those texts were stored in the library of Alexandria in Egypt because some of these people survived the flood. And then, the Romans sacked and burnt the library of Alexandria, but before they burnt it, they took out all of the good stuff and they relocated it to the Vatican library. So I have insiders who actually sat down with me and described to me going in the Vatican library and reading books that were made by extraterrestrial civilizations before they ever came here. These books include highly technical diagrams of interstellar spacecrafts and gigantic mother-ships. And these books are very, very ancient. Some of them have ??? types of pages, very glossy; some are actually all graphic, you open them up and this image just comes up and it can show you, interact with your consciousness, it tells you what you want to hear. Anything you want to know, it'll just it show it to you. So you have to understand now that the repository of these documents is in the Vatican. Therefore, there are people who are in a need-to-know basis who actually have access to that knowledge. They understand that they are the descendants of an extraterrestrial race that came here, that had elongated skulls. 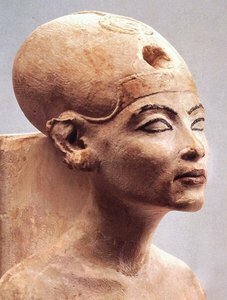 And when you look at the images of the Egyptian pharaohs like Akhenaten, like Nefertiti, like her daughter Meritaten, what you see is this highly elongated skull. We have scientists like Brian Foerster who are in Peru and they are actually finding new examples of these skulls with elongated craniums and whereas the normal human skull has two features, these only have one. They have all kinds of abnormal sutures including (we have these nerve flexes that come out of our jaws here whereas they have it at the back of their head). These do not appear to be anything having to do with head binding. So the point is elongated skulls show up all over the world. They have been found in Bosco in South Africa, they have been found in Siberia. There are graves of royalty in France that have been dug up and in which they have elongated skulls. Elongated skulls have been found in North America and in South America. They are literally worldwide. And so, what we're really dealing with and I write about it in my new book The Ascension Mysteries — the whole second half of the book (250 pages) is a comprehensive dietgram of the 500,000 year history of these people, where they started, how they got here, how they turned into the Cabal. So it literally does appear, as strange as this must sound, that there are people with extraterrestrial physiology, elongated skulls — some of them have lost the elongated skulls, others still have them, and if they have them, they wear these miter hats that you see in the Vatican. They never take those hats off, so you couldn't tell if anyone has got an elongated skull under their hat. It does sound really bizarre, but just imagine now that you tell a group of people secretly that they are the descendants of an extraterrestrial race that were the gods, that have many tens of IQ-point higher intelligence than everyone else on Earth, that spread themselves out across the world, that became the prevailing ruling caste everywhere. They had advanced technology when they first got here that allowed them to circumnavigate the world, to build pyramids, to build elaborated structures — not all the pyramids are built by negatives, but there are some that were — and they effectively created dominion over the Earth. They have been defeated by what we call the Elohim, the positive extraterrestrials that you hear about in the Bible and other religious texts again and again. The Elohim have caused mass catastrophes to happen — Sodom and Gomorrah being another example, fire and brimstones coming out of the sky. These things are not mythological. We know that the Earth has periodical catastrophes. Some of these catastrophes have apparently been authorized in order to dramatically reduce the ability of these people to control our planet. But there is a remnant that is still here, they are very advanced and they have an internal cohesiveness that tells them they are the Chosen, they are the Elect, they are the given special people. So what happens you have a religious group that is taking iconography from various cultures including the Egyptian trinity of Isis, Osiris and Horus, taking Celtic mythology, taking Asian mythology, taking Hindu mythology, putting all this together trying to distill the best out of it. And then along comes Christianity and this teacher, Jesus comes along and says that this has to stop. He's overturning the tables for the money-changers, he's essentially rewriting the covenants. Then in the aftermath of that event, you have an organized society that rises up in which all of these ancient mystery schools are said to be evil. These ancient mystery schools believe they're the Chosen Ones. And so when they saw the institutions of Church suppressing science, suppressing sexual freedom, suppressing independent thought asking you to conform or die, creating these very intense inquisitions in which people are tortured and forced into confession, they believed that the Church itself and therefore Jesus was actually evil and that they were good. So what they did is they went in the Bible and they said “Then who's the good guy?” It must be Lucifer the god of light, the god of wisdom and truth. Why was Lucifer thrown out of Heaven? Because he rebelled, because he saw that it was a setup, that it was all rigged, and that was evil. And they believe — you've got to understand that whether you believe this or not is irrelevant, this is their religion, this is what they actually believe. I've talked to many people who's given me different pieces of information about this from first-hand insider sources or they themselves are first-hand insiders — these people honestly believe that they are the descendants of gods, that they are the Chosen, that they are God's special people, that we are delusional and that the True Creator is this wisdom principle that they think of as Lucifer, that wisdom principle that gave us mystery school teachings, and that the enemy which they call Adamite — the adversary, that we would call the Christian God — came to try to defeat them. Then they even take it a step further and they look at texts like the Bible and they say that where it says in the end times that God will take the money from the wicked and restore it to the just, that we as a planet are the wicked and they are the just. So this how they justify their financial corruption. They don't believe that we deserve the money. In fact, they believe that if they did not dominate us and that if they did not control us and play all these games, that we left to our own devices would destroy our planet. So in some twisted rational, they believe they are saving the Earth, they believe humans are bad for the environment, we cause pollution so they have to reduce population. Then they seed that into movies like The Matrix where Agent Smith says that humans are like a virus on the planet. This is one of a variety of ways in which they will usually embed their teachings into the villains. Look at the Batman Begins, the latest new series of Batman films that came out in the past. In the first Batman reboot movie, again with Christian Bale playing Batman, it's the villain who actually articulate the Cabal's perspective. It's the villain who advocates population reduction, who describes why these things are necessary. Then look at the second one where you have Heath Ledger playing The Joker. Everything about what The Joker says in the second Batman film is totally what they believe. They actually believe that creating these fake terrorist attacks that kill large numbers of people is a sad but necessary evil that they have to do in order to secure control of us to prevent us from destroying the whole planet. You have high level people who believe this adamantly and are financing things like vaccines that actually have co-factors and certain things in them that overtime can be combined with other co-factors to try to create population reduction. So this is a very serious problem, but it is not just the Internet community that is hipped to this — that's another thing I really want to point out here. There has been a very powerful high level counter-insurgency within the highest levels of government on Earth. It has been going on since the 1700's, it started in Russia. This is really where the Alliance against this Cabal got started. And that Alliance has been working on plans that must take many, many years to complete. 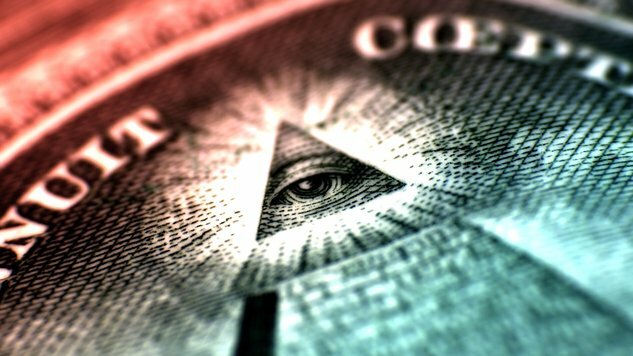 The people in this Cabal have used secret societies like the Freemasons in which they guard their secrets through complex rituals in which the person who is an aspirant to that order has to learn how to keep a secret, has to learn secret handshakes, secret pass-phrases, secret codes... And what that does is that it creates a body of people from which you can do recruitment. Because when you recruit from these people, they have now taken a blood oath that if they ever betrayed the secrets of the order they would be killed. And when you go up to the 7th degree in Freemasonry (it's just called the Royal Arch Masonry), you swear that you will do anything within your power to free a fellow Mason from harm's way even if he's committed acts of murder or treason against his own government. There was a book called Light on Freemasonry, it was published in the late 1800's when all this stuff came out, it was actually mid-1800's and that book listed all of what people hear in Masonry all the way up to 33rd degree. When you get up to 30th and 31st degrees, they said that the goal of the organization is to crush the heads of the serpents of religion. Now, granted, organized religion has caused a lot of problems, but what they really mean is not that all religions should be excluded. It's that they want only their religion to exist on Earth and if you don't follow their religion then you will be killed. So what they've been doing is they've been giving us their religion. They showed it to us in — for example the most recent Olympics opening and closing ceremonies were loaded with Cabal symbolism. They do it at Grammys, they do it at the Super Bowl halftime show. They go out there in music videos, in movies, in video games, in television shows, and they're showing us Luciferian symbolism. The reason why they're doing this is that they want us to become entranced by the idea of this religion, to have it be cool, to have it be trendy. 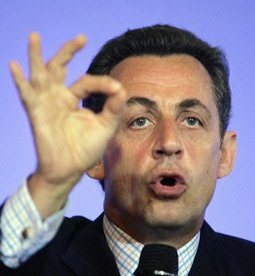 So one of the things they do is this symbol which is 666, each finger is one of the stems of the six. So you'll see people do stops like this. You'll also see them put their finger over their eye like this — it's the All-Seeing Eye or they'll do this a lot, you'll have this kind of symbolism. So they're out there putting out these sigils and signs and codes and symbols and they do it through things like pop music so people start watching whatever's popular and they're seeing flames and they're seeing people dancing around Baphomet horns and they're seeing all this really strange stuff. Their goal again is to acquaint us with their religion so that if they get their goal realized — which is to create a massive world economic collapse, greatly reduce population, and then come out as our liberators, giving us this technology, giving us what they consider to be freedom. We would actually be trading our sovereignty for a much greater level of tyranny. Thankfully, people such as the Russians as I said since the 1700's have been aware that this plan was in place and have been actually working to stop it. That effort is now so organized and so vast that there is no chance that the Cabal has to pull through this. Their cannot realize their goals. They are being defeated and I have meticulously traced on my shows and teachings on Gaia [his YouTube channel] so many examples of how they're doing this. I have written many, many articles. Insiders from the Alliance talking about what's going on, revealing this knowledge to us. So there is going to be some sort of a major event, a mass arrest and once that happens, they have 26 DVD's worth of information of shows that will be airing on all the cable channels. They will be featuring, in many cases, surprisingly high ranking public figures that we all know who have done this covertly. Some of them will be military/political leaders and they will be on these films, telling us all this kind of stuff that I'm telling you right now. And it's going to be a massive awakening, but it appears that this will be very positive because we will be coming into a reality in which the arrests have taken place.